Five men were rescued from a winter road on Tuesday after becoming stranded for two nights while en route to St. Theresa Point. RCMP received a report that the men had left Winnipeg in their vehicle on Saturday, but abandoned it after the driver lost control and hit a tree about 200 kilometres from the St. Theresa Point First Nation Community. The men sought out shelter and found an abandoned trailer with a wood burning stove about five kilometres from their vehicle. Overnight temperatures dropped to the -16°C to -20°C range. 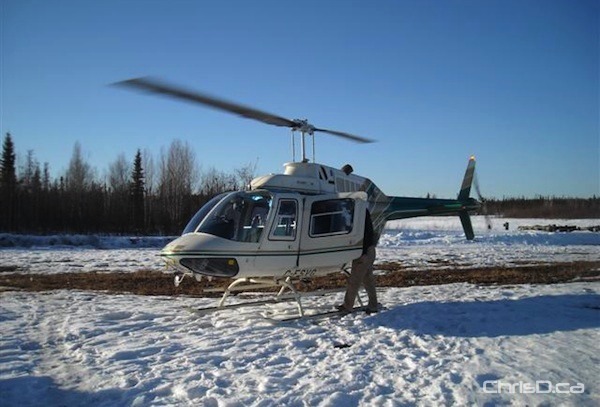 RCMP eventually located the men by helicopter and transported them to Berens River. All five men were in good spirits and did not require medical attention. The winter road to St. Theresa Point closed on March 25.